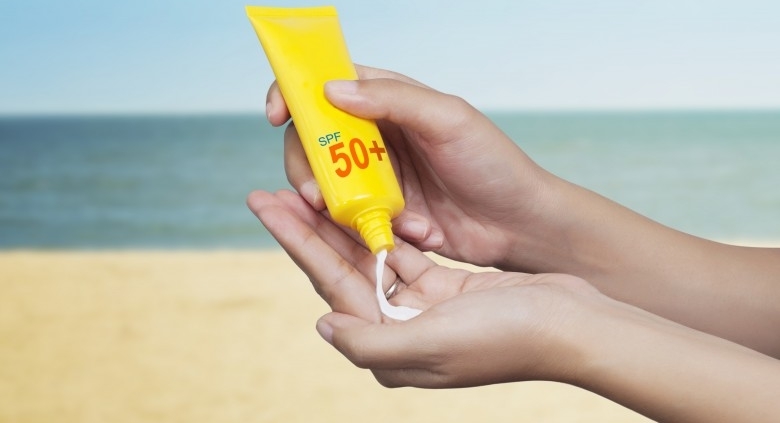 https://www.visagedermatology.com/wp-content/uploads/2019/04/sunscreen.jpg 439 780 webadmin https://www.visagedermatology.com/wp-content/uploads/2017/11/logo-visage-nobg-300x100.png webadmin2019-04-17 12:33:472019-04-17 12:41:27What is the difference between chemical and physical sunscreens? Now that your new year’s resolutions are well underway (and hopefully not forgotten! ), it’s also a great time to consider your skin health. From showing off at the pool to keeping skin safe and healthy, everyone can benefit from a consultation with a dermatologist. Here are our top five reasons you should schedule a visit to a dermatologist this year. New Year. Even Better You! We all want to be healthier but busy lives, especially during the holidays can make it a challenge. Did too many commitments leave you unable to keep a consistent or any exercise routine? Were there too many delicious temptations for your waistline? As medical professionals, we’re dedicated to helping our patients achieve their desired results. Here are a few ideas to help get on track and stay there past January. https://www.visagedermatology.com/wp-content/uploads/2018/01/header-jan2018.jpg 400 1500 webadmin https://www.visagedermatology.com/wp-content/uploads/2017/11/logo-visage-nobg-300x100.png webadmin2018-01-09 15:55:242018-01-15 19:54:07New Year. Even Better You! For many people, the battle with sugar can be particularly ferocious. It can arise during an afternoon slump at work, first thing in the morning, after every meal, in the middle of a workout — or, worst, in the middle of the night. In a sugar-laden world, it becomes too easy to reach for a quick fix. Cravings tend to crop up when there’s a sense of depletion. However, if you can pinpoint what you lack, it’s easier to make healthier choices instead of going for something sugar-coated. For many people, a sugar craving in the form of chocolate could signal a lack of magnesium, a common deficiency according to researcher Susan Yanovski from the National Institute of Diabetes and Digestive and Kidney Diseases. Yanovski says that around 80% of people in the U.S. may be deficient in the mineral, which can be tied to irritability, insomnia and high blood pressure. If you feel stressed, chocolate may seem like the answer, but it could be your body yearning for magnesium instead. Visage Dermatology introduces the newest product in dermal fillers, JUVÉDERM VOLBELLA® XC, the First and only FDA-approved filler proven to increase fullness and soften the appearance of vertical lines around the lip for up to 1 year. Lip injections using natural or synthetic fillers can keep your lips plump for months at a time. Dr. Kongsiri and Visage Dermatology providers love natural looking lips. VOLBELLA® addresses these concerns by subtly improving the shapeliness and smoothness of the lips without excessive volume. If you’re hesitant to improve the appearance of your lips for fear of looking fake or you just want to learn more, call Visage today to schedule your cosmetic consult to achieve your natural, desired look. Dr. Kongsiri and her medical providers have knowledge of the perfect injection technique to give you a natural lip, with just the right amount of fullness. Schedule your consultation today at 727-388-6982 Option 301 or 302. Did you know that Stress can cause you to gain weight? Are you not losing the weight you want too? Could it be too much stress in life? The final possible culprit behind stubborn weight issues may be the stress hormone, cortisol. Too much cortisol will increase hunger levels, bringing along subsequent weight gain. The most common cause of elevated cortisol is chronic stress and lack of sleep, so try to get in those ZZZZZZ’s. Learn more about our Weight Management Clinic. Are you suffering from early signs of jowls and skin laxity, but don’t want to commit to a full surgical facelift? We are one of the very first practices in the United States to offer the recently FDA approved Silhouette InstaLift, a non-invasive, non-surgical facelift that takes only 45 minutes to perform and reveals instant, long-lasting results that only improve over time. We are excited to offer it to our patients who want comprehensive lift and rejuvenation without the anesthesia, incisions, scarring, and recovery time of full surgery. To learn more about Silhouette InstaLift and see if you are a candidate, schedule a consultation with one of our board-certified dermatologic surgeons today! Call 727-388-6982 to make your appointment. Staying on track with your weight loss program is always a challenge during the holidays! No one likes to spend time re-losing pounds that they had already lost earlier, but with just a few simple techniques and continued focus on your long term weight management goals, you can make it through the holidays or other special occasions successfully and stay on track with your First Step to Success! Carbs and Calories are your enemy! At holiday parties or family dinners stay away from bread/mashed potatoes/stuffing/desserts and fatty or high carb foods. Remove the bread/crackers from finger foods and just eat the contents. Eat more of protein foods instead of desserts, but if you must deal with desserts, just take a couple of nibbles. Avoid the crust on pies and the icing on cakes. At dinners, take a small portion of those dishes you are going to sample and focus on protein foods. Treat big holiday meals like a tasting menu, not a feast! Select a small plate for your food. You’ll tend to eat less that way. It’s best not to snack, but, if you must, consume a non-caloric snack. Eat slowly and chew longer! You’ll eat less. Take sips rather than swallows. Avoid sugared mixers with cocktails. They add lots of calories. Set a limit at the start of the evening/event and stick to it! Take one glass of wine/cocktail/beer and then switch to a nonalcoholic drink, preferably a zero calorie, zero carb drink, such as diet cola, sparkling water or club soda. If you are going to have more than one alcoholic beverage, drink two glasses of water after each alcoholic drink. Don’t forget to exercise daily! A brisk walk around the neighborhood can work wonders in keeping pounds off.